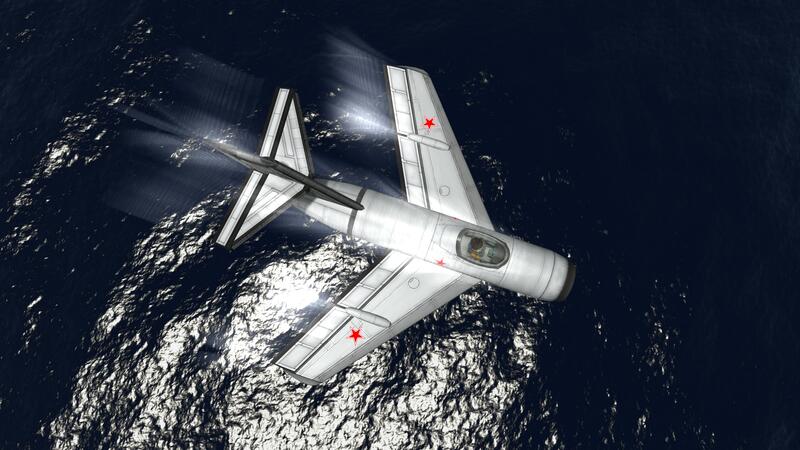 The Bogatyr is a lightweight fighter designed for Ferram Aerospace Research. 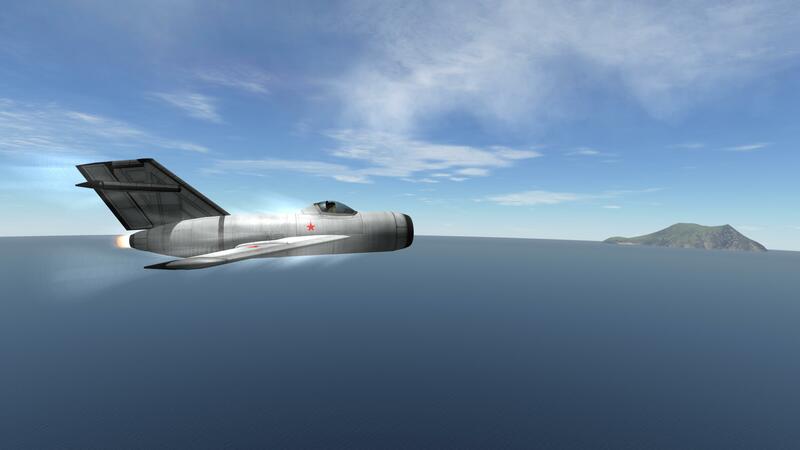 Like its real life counterpart the MiG-17, the Bogatyr is subsonic, relying on its very high sustained turn rate and low-altitude performance to counter faster aircraft. 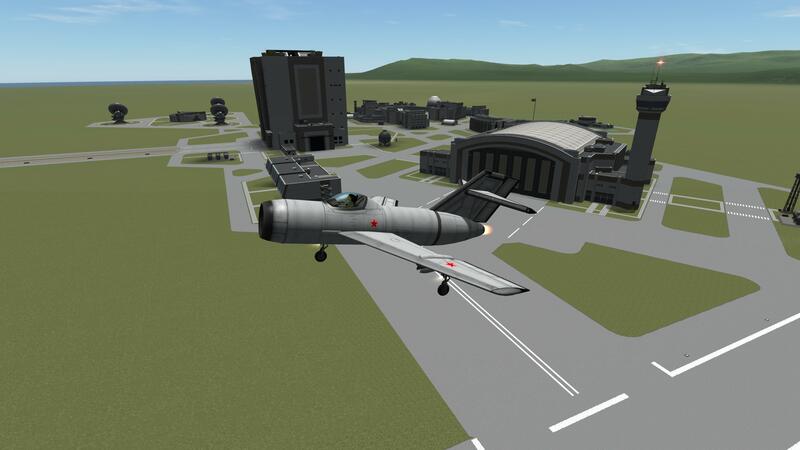 Flies perfectly well with the vanilla SAS, but it’s recommended that you use the Atmosphere Autopilot mod. I use the ‘Fly-by-wire’ setting with ‘Moderation’ and ‘Coordinated Turn’ toggled on. Move flaps to full deflection by pressing 2 three times. Engage the parking brake. Press 1 to turn on the engine and increase the throttle to max. 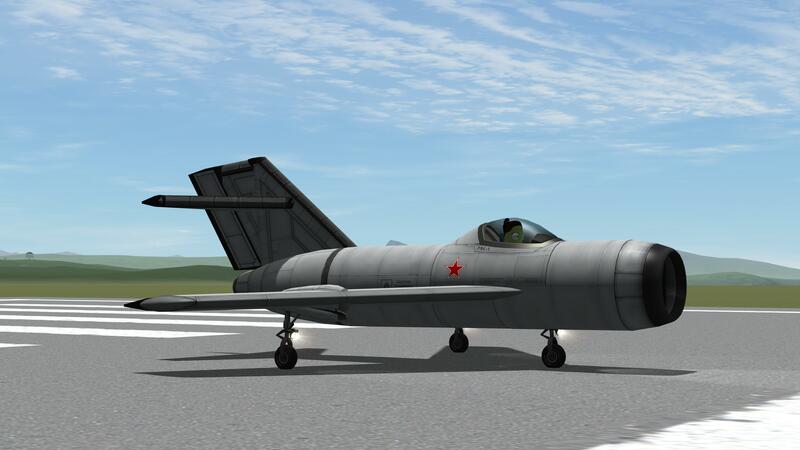 The aircraft will rotate at about 60m/s, and it will lift off without any input at about 85m/s. 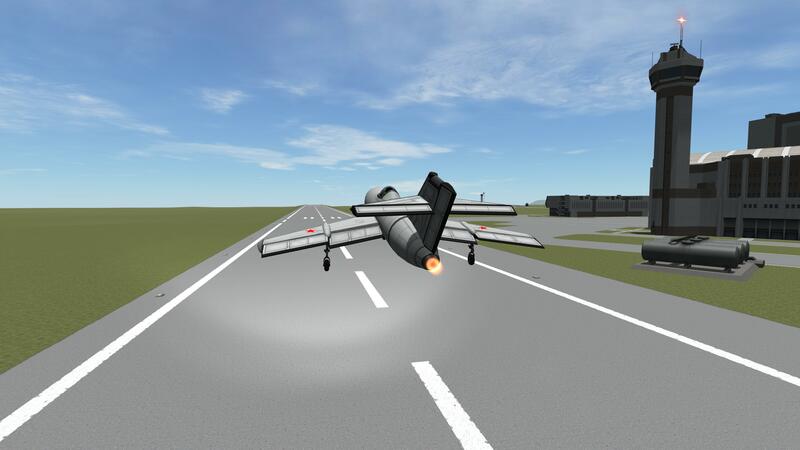 Do not use air brakes above 270m/s as they will break. The aircraft will stall below about 60m/s when landing. 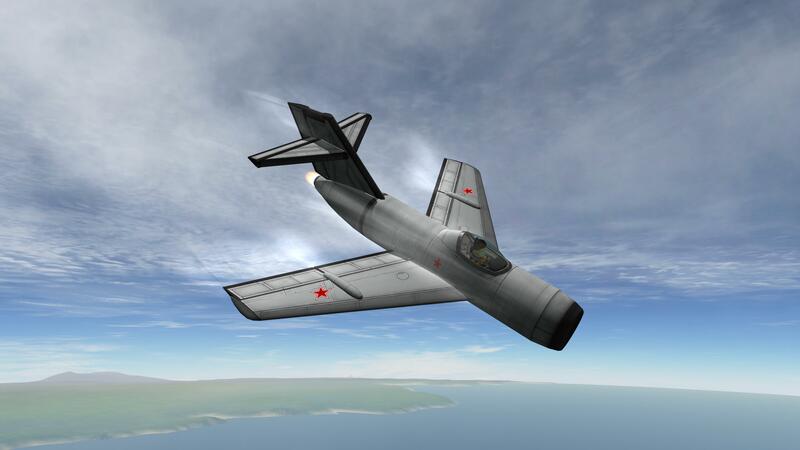 Use flaps and air brakes to slow down to about 70m/s. Tap the brakes lightly to slow down. Braking hard will cause the aircraft to spin.